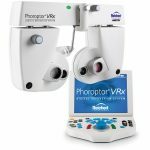 Since we diagnose and manage ocular disease locally, we have cutting-edge digital imaging technology. Many eye diseases, if detected at an early stage, can be treated successfully without total loss of vision. 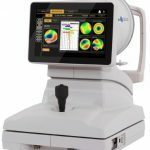 An Optical Coherence Tomography scan (commonly referred to as an OCT scan) is the latest advancement in imaging technology. 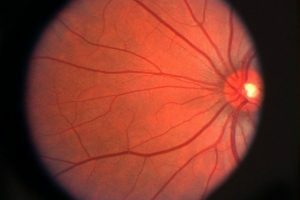 It uses laser light to evaluate all of the individual layers of the retina. With images best described as an MRI for your eye – it allows us to analyze the retina and optic nerve for any signs of eye disease. OCT imaging is essential for the early diagnosis of glaucoma, macular degeneration and diabetic retinal disease. The OCT scan is a noninvasive, painless test. You should consider receiving an OCT scan if you or a family member have glaucoma, macular degeneration, or other retinal disease. 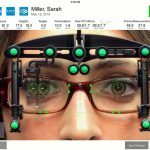 Digital lens measurements provides us with precise position of wear measurements required for fitting the latest digital lenses.